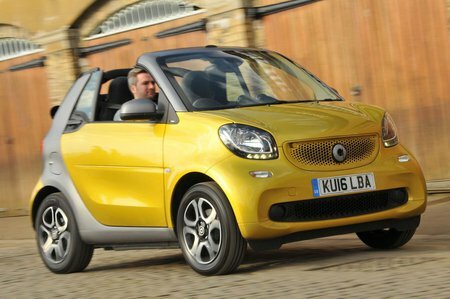 Smart ForTwo Cabrio Boot Space, Size, Seats | What Car? The Cabrio’s dash has been significantly recessed in front of the passenger, which provides decent leg room and adds to the feeling of the generally spacious cabin. There are also a few storage nets behind the seats for added storage. A boot capacity of 340 litres with the roof up is pretty good for a car this size. However, this is significantly reduced to 260 litres with the top down and roof bars stored.